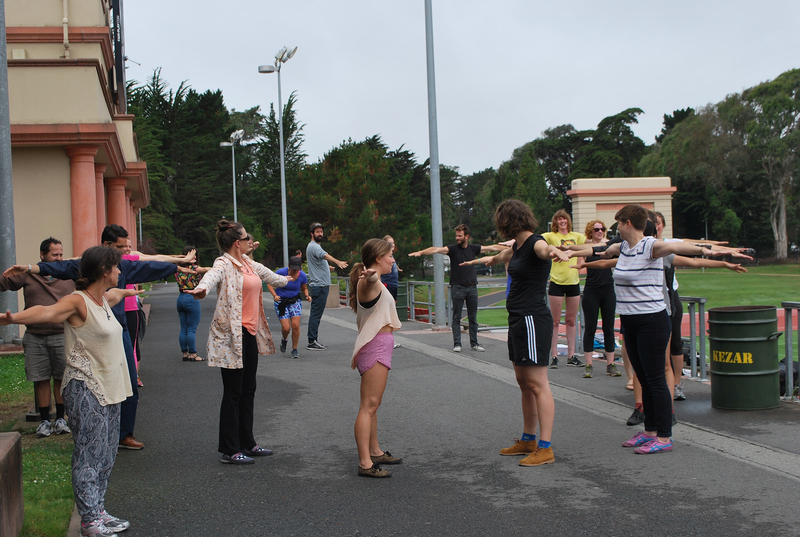 Launched in 2015 by artists Lisa Rybovich Cralle and Sophia Wang, Heavy Breathing is a series of experimental movement seminars designed by artists combining physical activity with group discussion on ideas related to their creative practice. 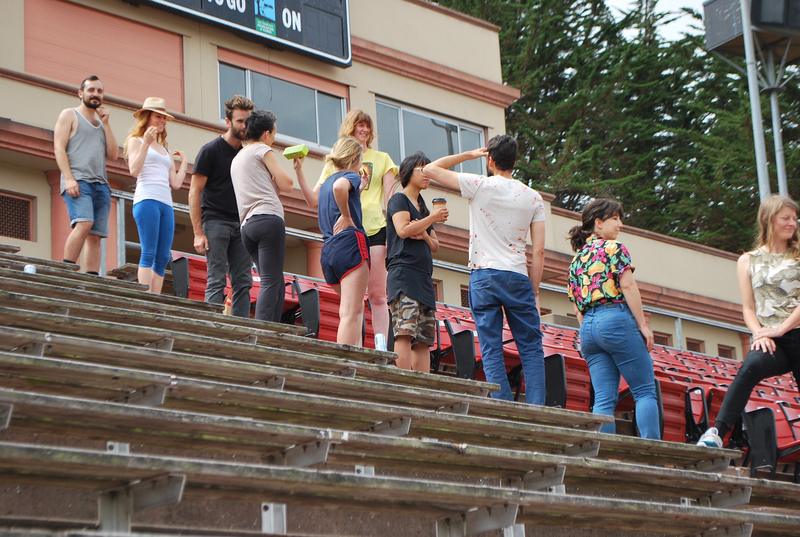 Stairwell’s was invited to lead one of 14 projects during Heavy Breathing’s first season of programming. 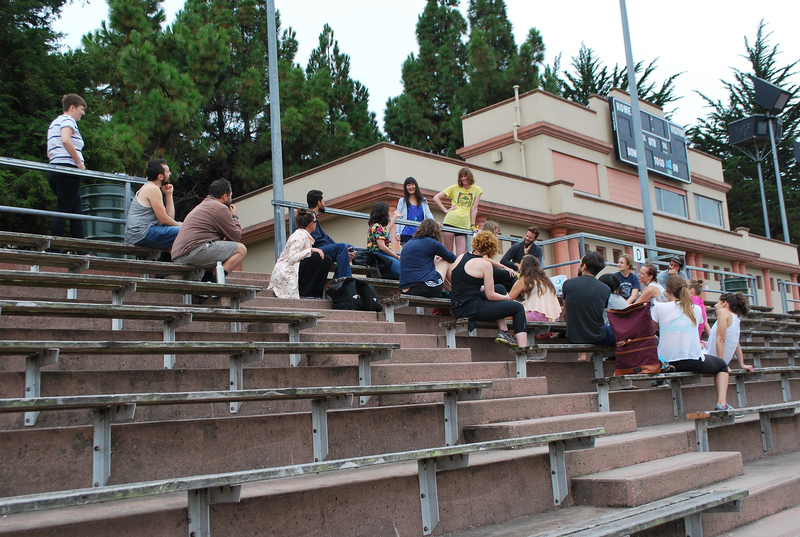 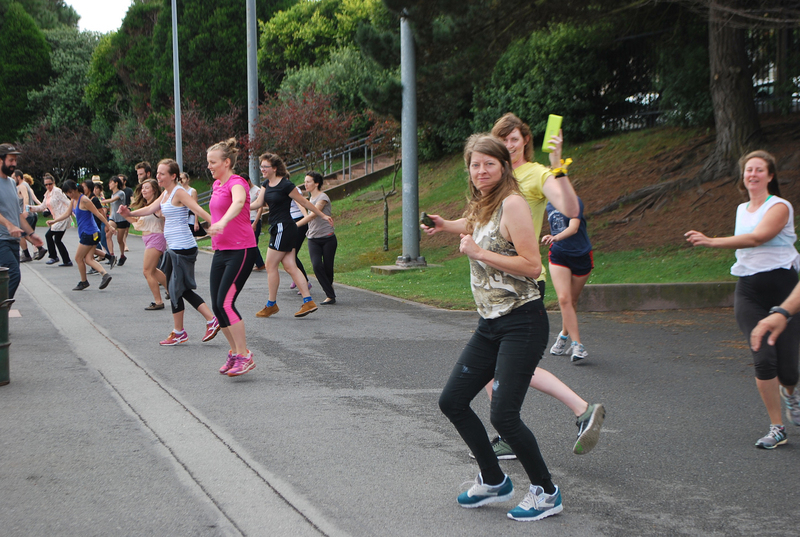 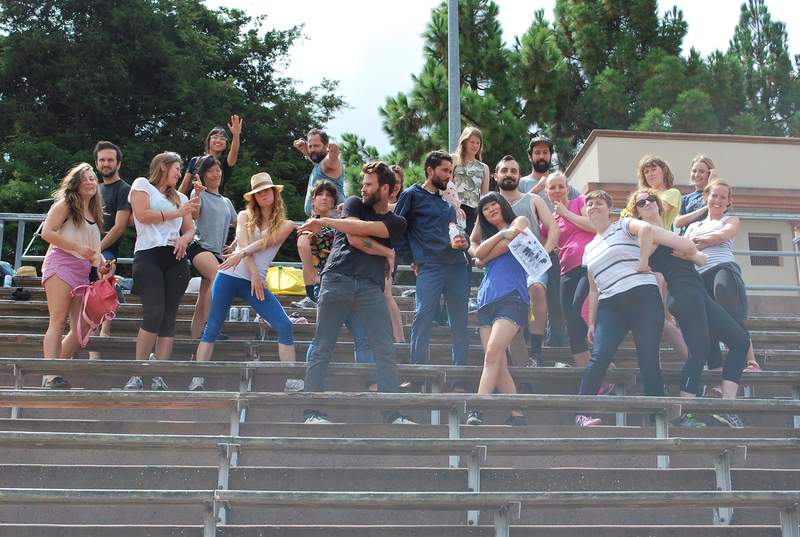 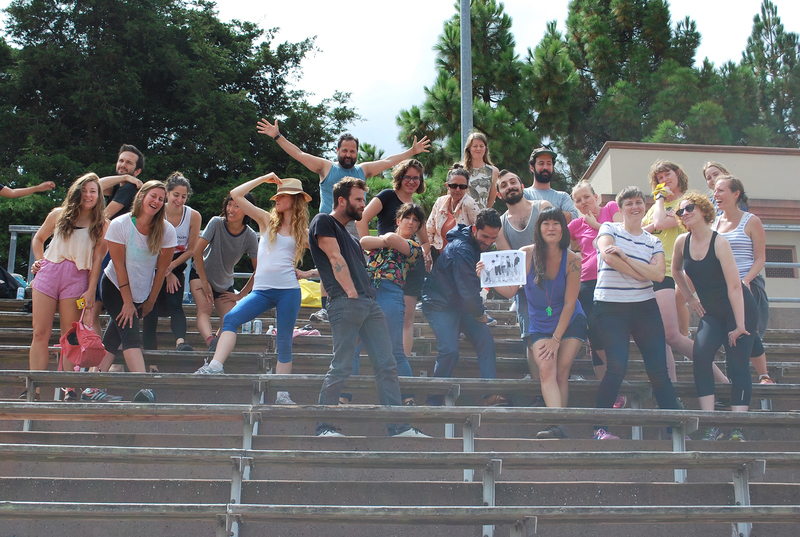 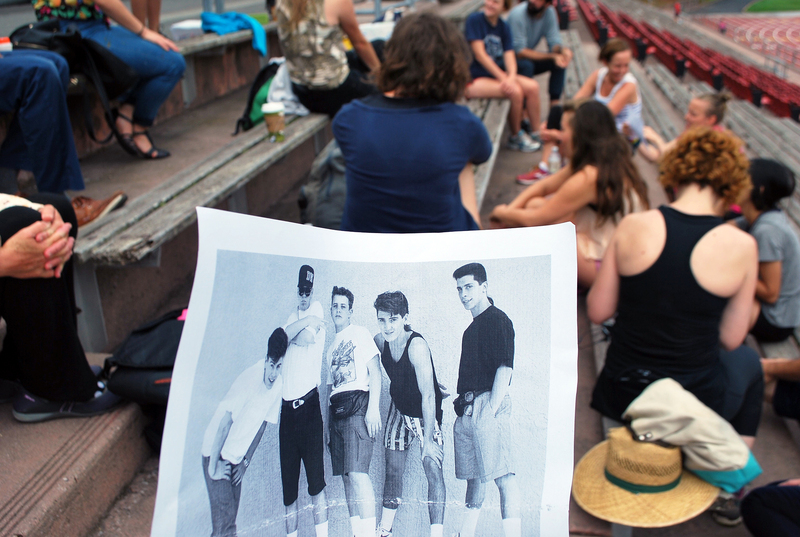 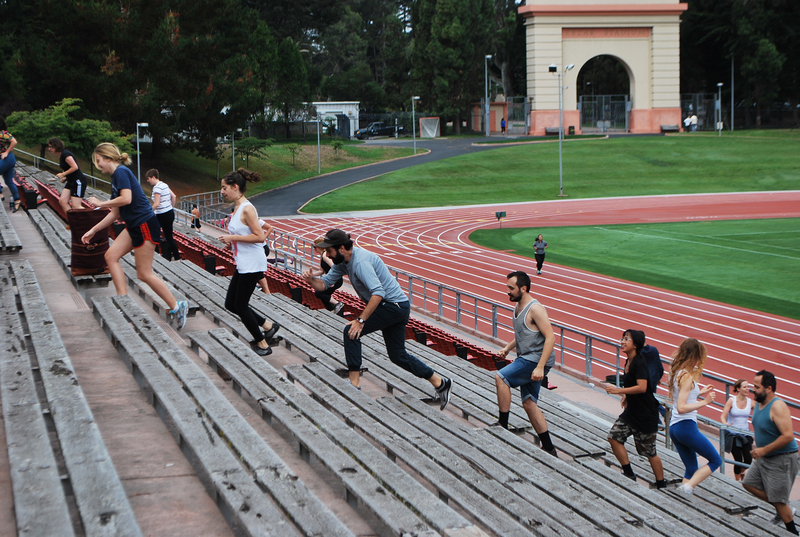 Step by Step with Stairwell’s was an hour-long gathering inspired by the New Kids on the Block song “Step by Step.” It combined stair trivia, unorthodox data visualization and aerobics inspired by ’80s and ’90s dance routines while traversing the Kezar Stadium steps.